Our staff photographers covered many of Gardner-Webb’s “happily ever after” homecoming events during the week of Oct. 5. 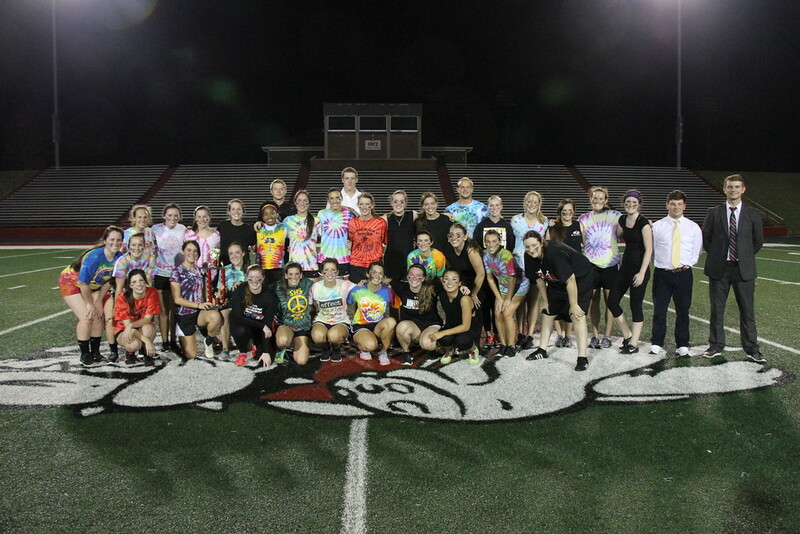 Students participated in several events and activities that allowed them to show their school spirit throughout the course of the week. 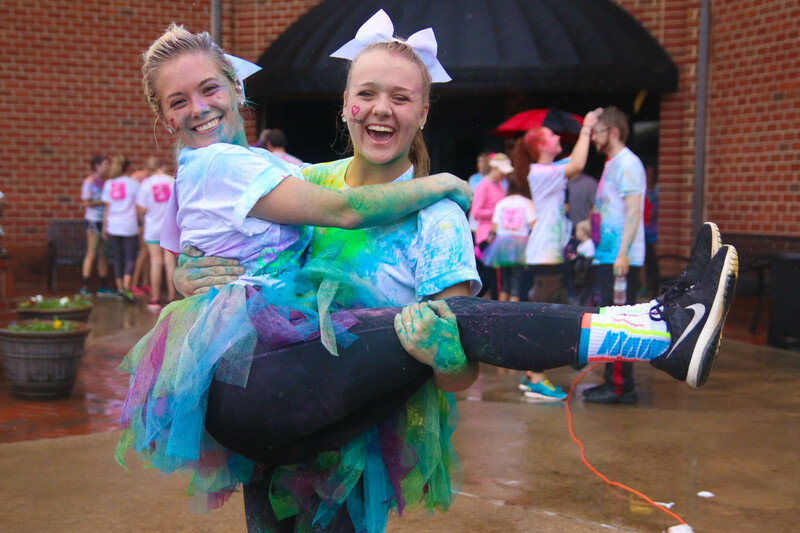 Check out the photo story below, and view all the photos from homecoming week here. 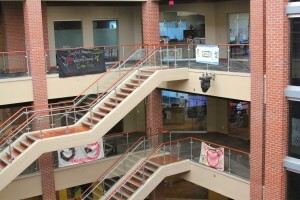 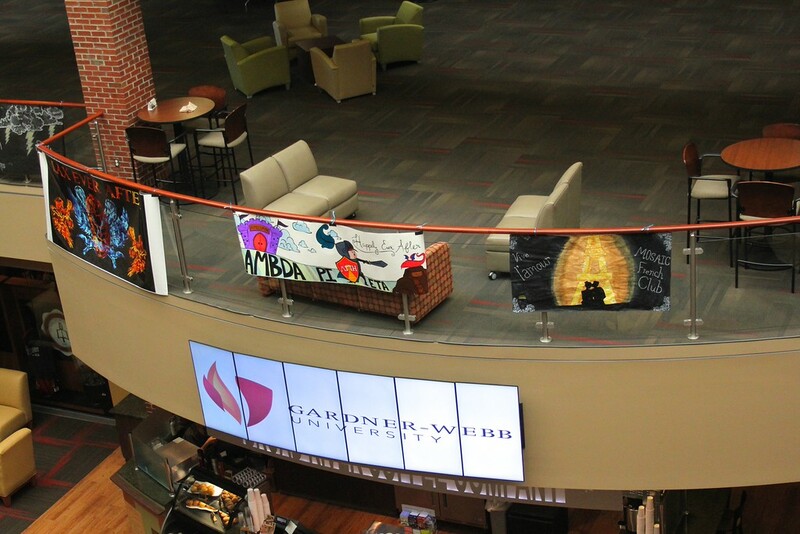 Gardner-Webb clubs and organizations designed banners with the theme of “happily ever after.” All entries were hung in the Tucker Student Center during homecoming week. 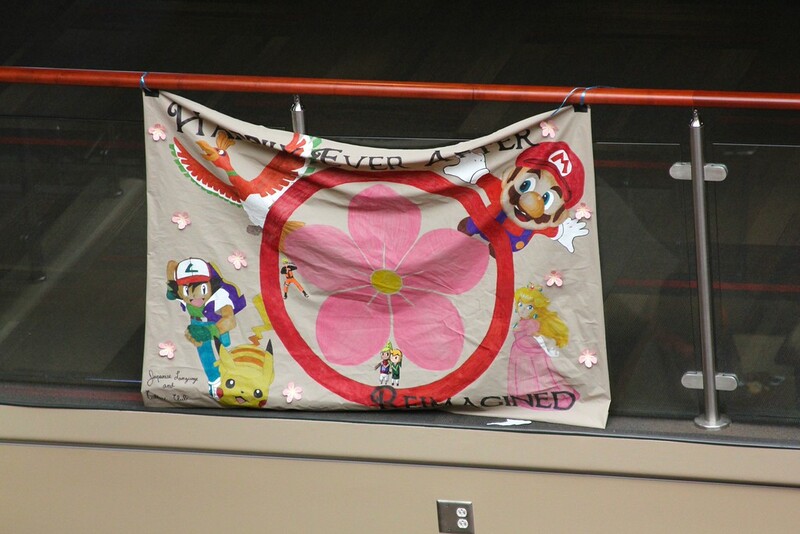 The Japanese Language and Culture Club won first place for their original banner. 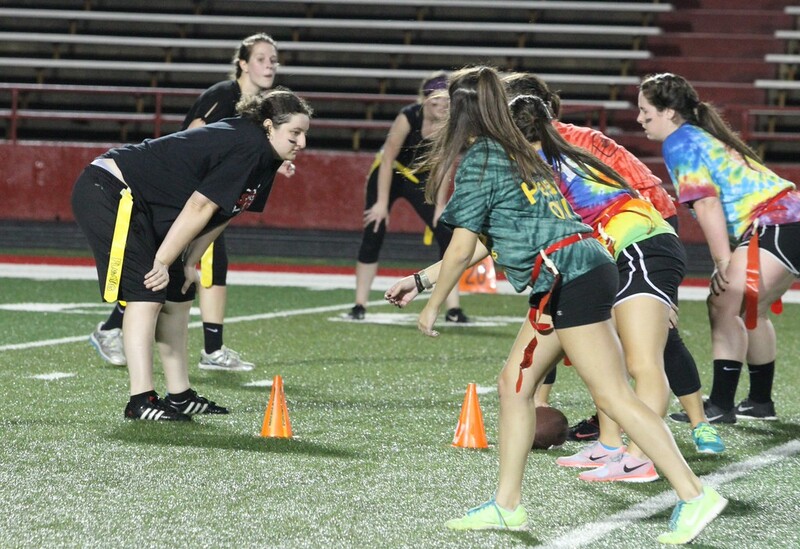 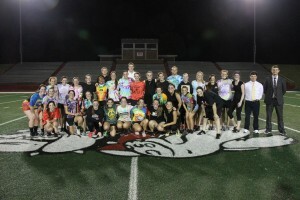 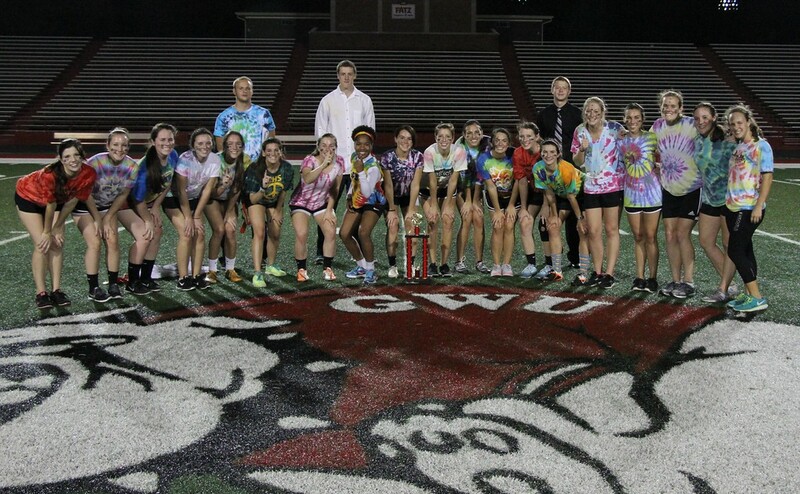 The annual powderpuff game took place in Spangler Stadium on Friday, Oct. 9. 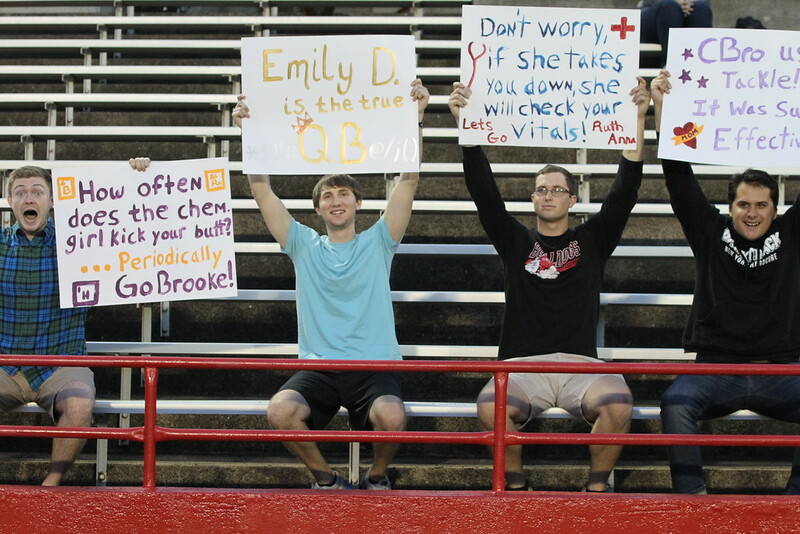 Fans in the stands supporting their favorite players. 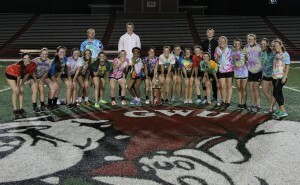 The Southside team took home the trophy. 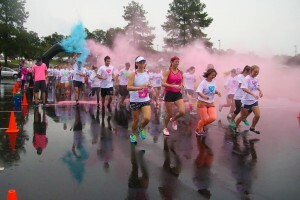 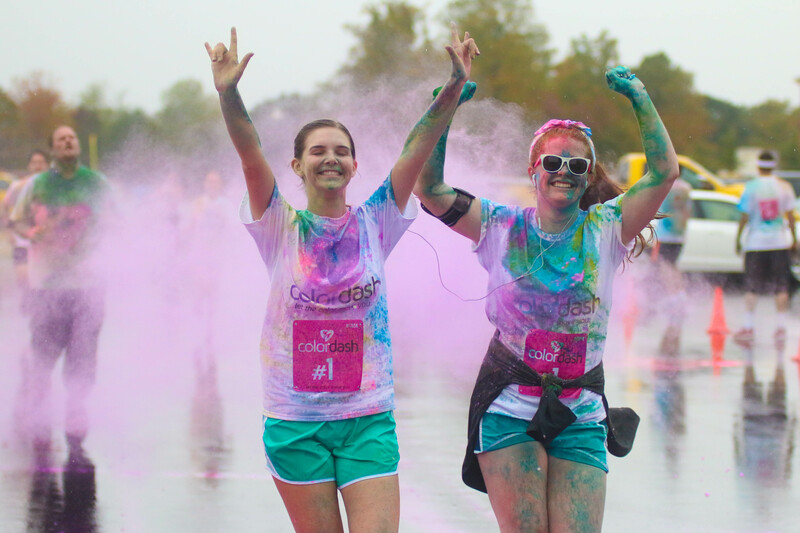 Despite the wet weather, runners greeted Saturday morning with a splash of color at the Color Dash. Morgan Ingle and Taylor White completed the Color Dash on Saturday morning. 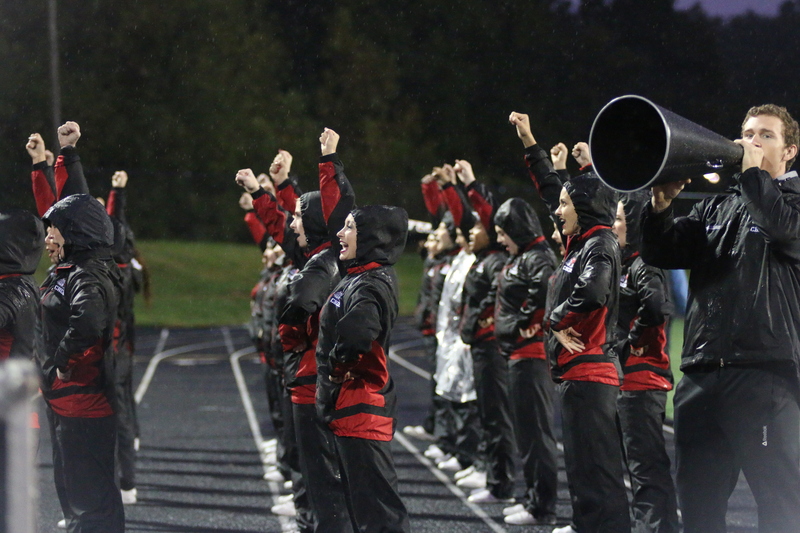 Photo by Megan Hartman. 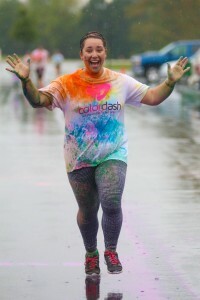 Brittany Kertesz excited to complete the 5k. Photo by Megan Hartman. 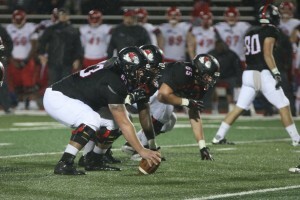 The Runnin’ Bulldogs victoriously took on the Liberty Flames at this year’s homecoming game and Big South opener, with a final score of 34-20. 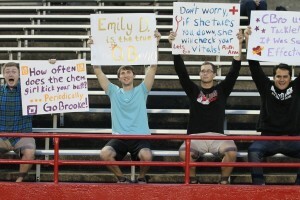 Cheerleaders in the stands supporting the Runnin’ Bulldogs. 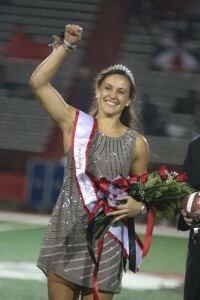 Meredith Byl was crowned this year’s Homecoming Queen during halftime. 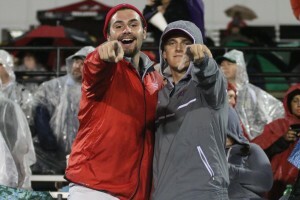 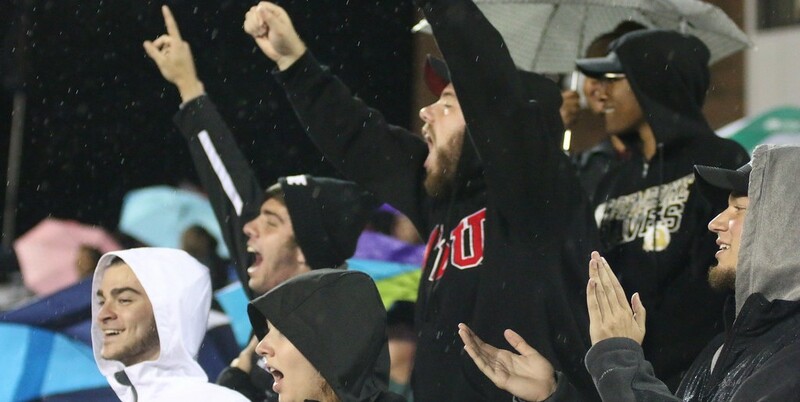 Fans supported the Runnin’ Bulldogs despite the weather. 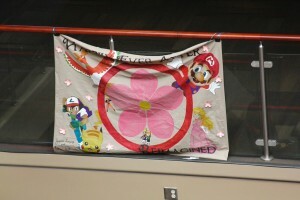 Be the first to comment on "A ‘happily ever after’ homecoming"